It’s nearly half term and, like most parents I’m looking forward to a break from the usual routine and a bit of a rest. The week before a school holiday is always a bit manic though, as if I won’t ever be able to do gilhoolie stuff again… (sounds like a nightmare to me!) But, don’t panic, I just realised I have lampshade courses or workshops over the next three weekends, phew! 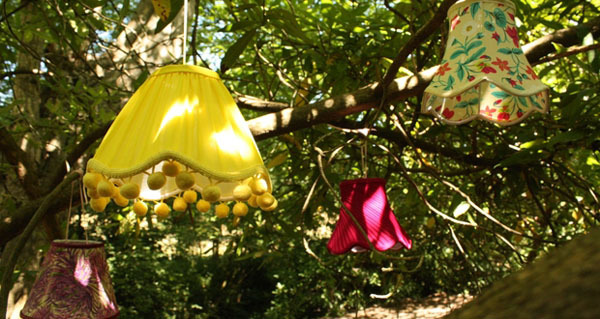 The next two Sundays will be spent at Homemade London learning how to make a traditional style lampshade with Angela Constantinou from Cocoon Home. I’m really looking forward to the challenge and even the homework in between! It’s nearly a year since I learnt how to make my first drum lampshade and I’ve always wanted to know how the traditional ones are made – look out for updates on here, as long as my efforts are good enough, got to have pom poms for sure.